Hier zitten wel stukjes in die op het randje zitten…..maaaar wel heel leuk! 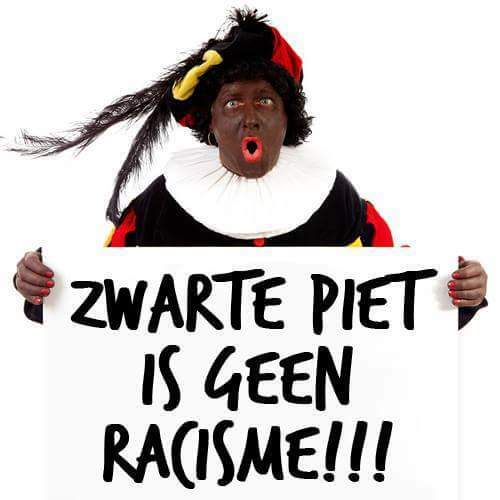 Zwarte Piet moet blijven (de echte Sinterklaasliedjes krijg je er gratis bij 😉 ). A year ago I sent the Dutch members of the European Parliament an e-mail with a question about the population growth in the EU. This because of an EU publication on the population which found that population growth consists mainly of immigrants. The contents (in Dutch, translate if you like) of the e-mail can be found on my blog ‘E-mail to the Dutch MEP’s about the Islamization of Europe’. The serious answers I received on my mail (for example from Sophie in ’t Veld) do not match, I think, the reality of today. Judge for yourself (I added the responses at the end of the blog). I promised the EP members to respond to their answers. I will do that with this blog. The misery in Ukraine and the Middle East, the uncontrolled ‘refugees’ flows that happen right now and a tweet refering to an article in which Adam Weishaupt and the New World Order (NWO) are mentioned, were the trigger for me to write this blog. NWO, maybe you will now think what I thought in the first place, a conspiracy story. But, when I look at what is going on right now and project that on a ‘conspiracy’ theory like the NWO, I’m surely having serious doubts now. So I checked with a friend who knows more about it. I asked him who was Adam Weishaupt (take your pick), and what his view is on the NWO. In his response, he referred to the YouTube presentations of Walter Veith, a South African who approaches world events en developments from his faith. Faith, won’t give many of you a warm feeling because of the misery faith brought to the world and still brings, including the ‘refugees’ from Islamic countries. So I have a viewing tip to get through the tough parts of the presentations by Walter Veith and to extract the essences. But first, briefly and simply summarized in one sentence, it’s about the ‘Elite’ at any cost they want a ‘New World Order’. An ‘order’ which I think will not be good for you and me. That New World Order will consist of one world, with one government and one religion, the one of the ‘elite’. To achieve this, the current nation-states and the religions (Christianity, Judaism and Islam) must disappear. Behind the scenes they are working on ‘cases’ which should ultimately lead to the New World Order. In front of the scenes these ‘cases’ are presented to the general public in a different way, e.g. by using the MSM. Current examples are Ukraine (including MH17), the Middle East and related to these cases the EU (the founding and expansionism of the EU and currently also the ‘refugees’ problem). The origin and history of the ‘Elite’, their goals and how to achieve these goals are explained by Walter Veith. He relates events from the past, of the present and in the future to his faith, while citing the Bible regularly. My view tip is, if you’re not Christian, accept the religious outlook of Walter Veith and just look at the historical facts and the, perhaps sometimes a bit speculative, theorems and conclusions. Even though you have nothing to do with religion, you must realize that the ‘Elite’ for centuries acted from their religion and still does that today. Are you a Christian then you will recognize a lot with sufficient knowledge of the Bible. And for Muslims, you can look at it from your own religion, Islam. But know that the ‘Elite’ also wants to get rid of Islam. And a warning, as a Muslim you will not like the presentation ‘The Islamic Connection’. Anyway, everyone who believes knows that in the end everything will be allright, don’t you? In any case, what surprised me was that much of what is going on now (the presentations are not recent) seem to fit well in the story of Veith. Whether it is truth? Skeptics will say ‘no’ (conspiracy). Insiders, for example, our Dutch prime minister (who never lies) and his predecessor (watch the gift he gave the PM from 35 sec. ), will surely say no (nonsense, all we want is the best for you). What do you think? If you’re not one of the above people or if you are but think ‘come let me give it a try’, you’ll know it after watching one or more episodes. I found myself for a long time at the club of skeptics but with the events of the past year, I started to doubt. And now? Never one hundred percent certainty, but at it’s best, I say ‘the coming changes are not for the benefit of ordinary citizens like you and me’. After this paragraph the presentations (3) by Walter Veith. If you want you can watch the presentations in the given order but I found ‘Behind the Scenes’ most interesting because it tells a lot about the recent history and the present. Much of what is currently going on can be linked to the contents of this presentation. This presentation is about deception, secret societies, how they control the world and who are behind these societies. The aim of the presentation is to discover how certain organizations control everything that happens around us, in the media, in the religious world, in the political world and what their agenda is. This presentation is consistent with ‘The Secret Behind Secret Societies’. The aim of the presentation is to discover were we stand today (at the time of the presentation) and what the future will bring. After several (often repetitive) bible references Veith says that most of the wars, even now, are caused by, you do not expect it, religion. 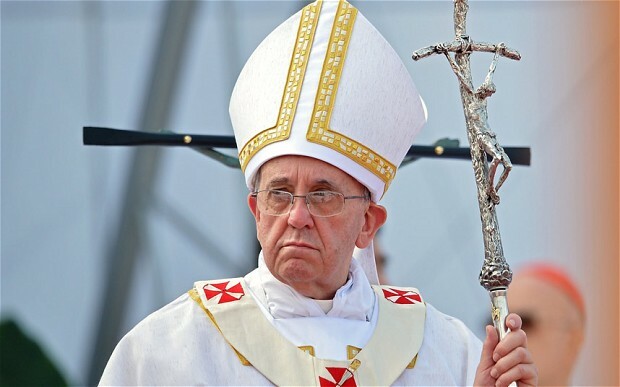 Then he goes into the (dubious) role of the Catholic Church, the relationship of the Pope to the world leaders and the separation of church and state, which according to him does not exist behind the scenes. Through a historical path including several revolutions and (planned) wars, including a predicted 3rd world war (which originates in the Middle East, between Judaism and Islam, recognizable? ), he continues his presentation. 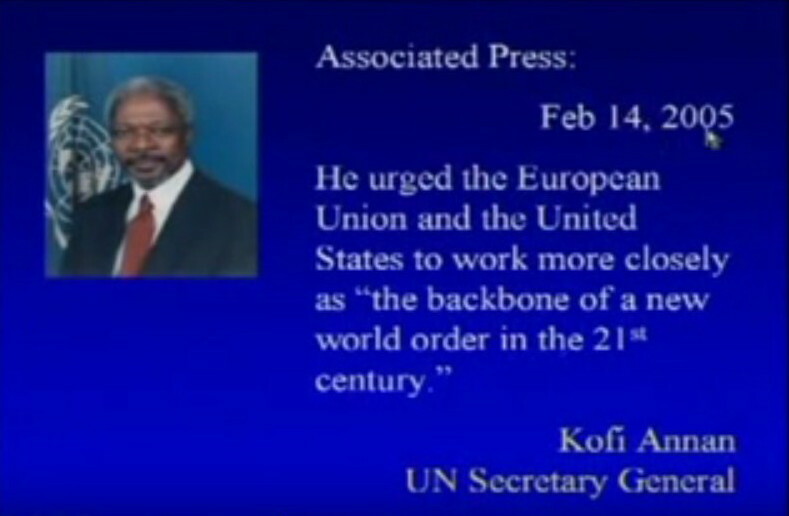 After about 34 minutes he comes to ‘The New World Order (NWO), the role of the UN, the US and the EU and the way NWO will be achieved, a clash of civilizations. A war between Christianity and Islam. Anything like that going on right now? Just look, project it on what is going on now and draw your own conclusions. And again, religious or not, what’s going on, is based on religion, if we want to believe Veith, but that is not very difficult when we take a good look around us. In this presentation, Walter Veith explains the origins of Islam and its relationship with the Catholic Church. As I previously indicated Muslims won’t be happy with this presentation and possibly Catholics either. With a comprehensive introduction Veith works towards the theorem (from about 26 min.) that Islam is created by the Catholic Church with the aim to set Islam against Christianity and Judaism eventually resulting in the destruction of these religions (also Islam) and the establishment of their NWO religion. 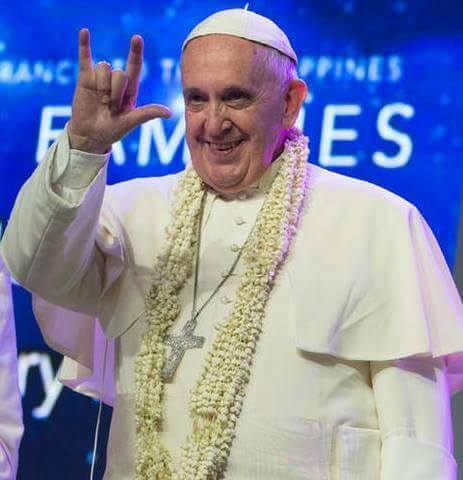 Does this explain a recent ruling by the Pope on Islamophobia and Islam as a peaceful religion? 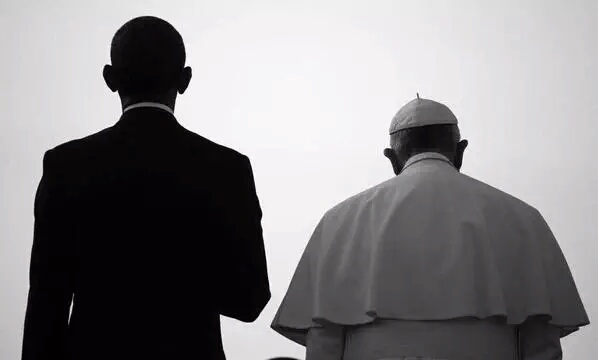 Does this explain the statement by the Pope about the Bible and the Koran? Does this also explain the planned ‘refugees’ flow? Veith concludes with the statement that Catholicism has dominated Islam since the beginning and that Islam is only a means to achieve the goal of the ‘Elite’, one world, with one government, one religion. Finally, last week GeenPeil collected enough signatures for a Dutch referendum. If there is going to be a referendum, many of us will vote against the EU association treaty with Ukraine. But whatever the outcome, we are not going to win. Even if most of us vote ‘no’, the ‘Elite’ in The Hague (Dutch governement) will ignore the outcome because they have to continue with the EU and with their New World Order. 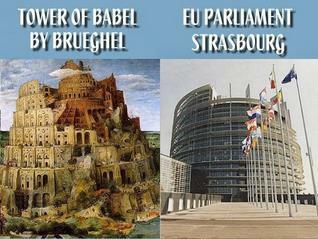 Nothing is coincidence, everything is planned (including the EU) and you can not change a thing about it! Een jaar geleden stuurde ik de Nederlandse leden van het Europees Parlement een e-mail met een vraag over de bevolkingsgroei in de EU. Dit n.a.v. een EU publicatie over die bevolkingsgroei waaruit bleek dat de bevolkingsaanwas voornamelijk bestaat uit migranten. De inhoud van de e-mail is te vinden op mijn blog ‘E-mail aan de Nederlandse Europarlementariërs over de islamisering van Europa’. De serieuzere antwoorden die ik kreeg op mijn mail (o.a. van Sophie in ’t Veld) staan m.i. in schril contrast met de werkelijkheid van nu. Oordeel zelf (de reacties heb ik toegevoegd aan het einde van de blog). N.a.v. de reacties heb ik de EP leden beloofd te reageren op hun antwoorden. Daar zal ik dit stuk voor gebruiken. De ellende in Oekraïne en het Midden Oosten, de ongecontroleerde ‘vluchtelingen’ stromen die nu op gang zijn gekomen en een tweet met daarin een verwijzing naar een artikel waarin Adam Weishaupt en de New World Order (NWO) worden genoemd waren de aanleiding om weer eens in de pen te klimmen. NWO, je zal nu misschien denken wat ik ook dacht, een aluhoedje verhaal. Maar toch, als ik kijk naar wat er gaande is en dat projecteer op zo’n ‘conspiracy’ theorie als de NWO, dan begin ik nu toch wel ernstig te twijfelen. Even nagevraagd bij een kennis die daar meer van weet. 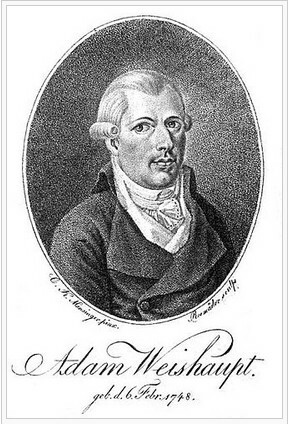 Ik vroeg hem wie Adam Weishaupt was (take your pick) en hoe hij tegen de NWO aan kijkt. In zijn antwoord verwees hij naar de YouTube presentaties van Walter Veith, een Zuid Afrikaan die de ontwikkelingen in de wereld benadert vanuit zijn geloof. Geloof, daar worden velen niet echt warm van gezien de ellende die het wereldwijd bracht en nog steeds brengt, o.a. die ‘vluchtelingen’ uit Islam landen. Ik heb dan ook een kijk tip om door de taaie stukken van de presentaties van Walter Veith heen te komen en er de essenties uit te halen. Maar eerst kort en simpel in één zin samengevat, het gaat over de ‘Elite’ die kost wat het kost een ‘Nieuwe Wereld Orde’ wil vestigen. Een ‘orde’ waarvan ik denk dat jij en ik er niet beter van gaan worden. Die Nieuwe Wereld Orde zal bestaan uit één wereld, met één regering en één godsdienst, die van de ‘Elite’. Om dat te bewerkstelligen moeten de huidige natiestaten en de huidige godsdiensten (Christendom, Jodendom en Islam) verdwijnen. Achter de schermen wordt gewerkt aan ‘zaken’ die uiteindelijk moeten leiden tot die Nieuwe Wereld Orde. Voor de schermen worden die ‘zaken’ op een andere manier, o.a. met behulp van de MSM, naar het grote publiek gepresenteerd. Actuele voorbeelden daarvan zijn Oekraïne (met MH17), het Midden Oosten en niet te vergeten de relatie van die twee tot de EU (de vorming en expansiedrift van de EU en momenteel ook het ‘vluchtelingen’ probleem). De oorsprong en de historie van de ‘Elite’, hun doel en de weg daar naartoe worden door Walter Veith uit de doeken gedaan. Hij relateert gebeurtenissen uit het verleden, uit het heden en in de toekomst aan zijn geloof en citeert daarbij regelmatig de bijbel. 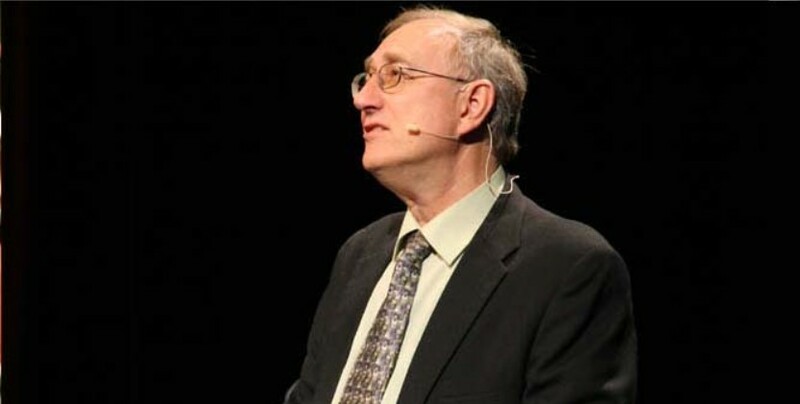 Mijn kijk tip is dus, als je niet christelijk bent, de religieuze kijk van Walter Veith voor lief te nemen en puur te kijken naar de historische feiten en naar zijn, misschien soms wel wat speculatieve, stellingen en conclusies. Ook al heb je helemaal niets met godsdienst, realiseer je dat de ‘Elite’ al eeuwen lang handelt vanuit hun godsdienst en dat nog steeds doet. Ben je wel christelijk dan zal je met voldoende Bijbelkennis veel herkennen. En voor Moslims, je kan er naar kijken vanuit je eigen geloofsovertuiging, de Islam. Maar weet dat de ‘Elite’ ook van de Islam af wil. En een waarschuwing, de presentatie ‘The Islamic Connection’ zal je als moslim niet bevallen. Maar goed, iedereen die geloofd weet dat het uiteindelijk goed zal komen, toch? Wat mij in ieder geval verbaasde is dat veel van wat er nu gaande is (de presentaties zijn niet van recente datum) goed (b)lijkt te passen bij het verhaal van Veith. Of het waarheid is? Sceptici zullen ‘nee’ zeggen (aluhoedje), insiders, bij voorbeeld uw minister president (die nooit liegt) en ook zijn voorganger, zullen zeker ‘nee’ zeggen (onzin allemaal, wij hebben het beste met u voor). Wat je er zelf van vindt? Als je niet tot één van de voorgaande ‘clubs’ hoort of wel maar denkt ‘kom laat ik het eens proberen’, dan weet je het na het kijken van één of meerdere afleveringen. Zelf hoorde ik lang bij de club van sceptici maar mede door de gebeurtenissen van het afgelopen jaar ben ik gaan twijfelen. En nu? Nooit honderd procent zekerheid maar in het gunstigste geval zeg ik ‘de komende veranderingen zijn niet in het voordeel van gewone burgers zoals jij en ik’. Hierna de presentaties van Walter Veith. In volgorde kijken kan natuurlijk maar ik vond ‘Behind de Scenes’ het meest interessant omdat Veith daarin veel vertelt over de recente historie en het heden. Veel van wat er momenteel gaande is, is goed te linken aan de inhoud van deze presentatie. Deze presentatie gaat over misleiding, geheime genootschappen, hoe die de wereld beheersen en wie achter die genootschappen zitten. Doel van de presentatie is te ontdekken hoe bepaalde organisaties alles wat er gebeurt, om ons heen, in de media, in de religieuze wereld en in de politieke wereld, beheersen en wat hun agenda is. ‘De manier waarop de NWO zal worden bereikt, een clash of civilizations. Een oorlog tussen Christendom en Islam’. Deze presentatie sluit aan op ‘The Secret Behind Secret Societies’. Doel van de presentatie is te ontdekken hoe we er vandaag de dag (ten tijde van de presentatie) voorstaan en wat de toekomst ons zal brengen. Na enkele (vaak terugkerende) bijbel referenties stelt Veith dat de meeste oorlogen, ook nu nog, te maken hebben met, je verwacht het niet, religie. Vervolgens gaat hij in op de (dubieuze) rol van de Katholieke Kerk, de relatie van de paus met de wereldleiders en de scheiding tussen kerk en staat, die volgens hem behind the scenes niet bestaat. Via een historisch pad w.o. diverse revoluties en (geplande) oorlogen, waaronder een voorspelde 3e wereldoorlog (die ontstaat in het Midden Oosten, tussen het Jodendom en de Islam, herkenbaar?) vervolgt hij zijn presentatie. Na ongeveer 34 minuten komt hij op ‘The New World Order’ (NWO), de rol van de VN, de VS en de EU daarin en de manier waarop die NWO zal worden bereikt, een clash of civilizations. Een oorlog tussen Christendom en de Islam. Iets van te merken nu? Kijk, projecteer het op wat nu gaande is en trek je eigen conclusies. En nogmaals, gelovig of niet, wat gaande is, is gebaseerd op religie, als we Veith willen geloven, maar dat lijkt me niet zo moeilijk als we goed om ons heen kijken. In deze presentatie legt Walter Veith het ontstaan van de Islam uit en de relatie met de Katholieke Kerk. Zoals ik al eerder aangaf zullen Moslims hier niet blij van worden en mogelijk katholieken ook niet. In een uitbreide inleiding werkt Veith toe naar de stelling (vanaf ongeveer 26 min.) dat de Islam door de Katholieke Kerk is gecreëerd met als doel de Islam op te zetten tegen het Christendom en het Jodendom met uiteindelijk als resultaat de vernietiging van deze religies (ook de Islam) en de vestiging van hun NWO religie. Verklaart dit een recente uitspraak van de Paus over islamofobie en de Islam als vreedzame religie? Verklaart dit de uitspraken van de Paus over de Bijbel en de Koran? Verklaart dit ook de geplande ‘vluchtelingen’ stroom? Veith besluit met de stelling dat het Katholicisme vanaf het begin de Islam heeft beheerst en dat de Islam alleen maar een middel is om het doel van de ‘Elite’ te bereiken, één wereld, met één regering, met één godsdienst. Tot slot, gisteren haalde GeenPeil genoeg handtekeningen op voor een referendum. Als dat referendum er komt, dan zal ik en velen met mij tegen het associatieverdrag met de Oekraïne stemmen. Maar ongeacht de uitslag, wij gaan het niet winnen. Ook al wordt het een ‘nee’, de ‘Elite’ in Den Haag zal de uitslag naast zich neerleggen want ze moeten door met de EU en door met hun Nieuwe Wereld Orde. Niets is toeval, alles is gepland (ook de EU) en je kan er niets aan veranderen!